After the walk today I headed in to Meisters to work on the Berean stuff we weren't able to finish yesterday. That was kind of discouraging. There is just so much work to do. We could sure use more volunteers. 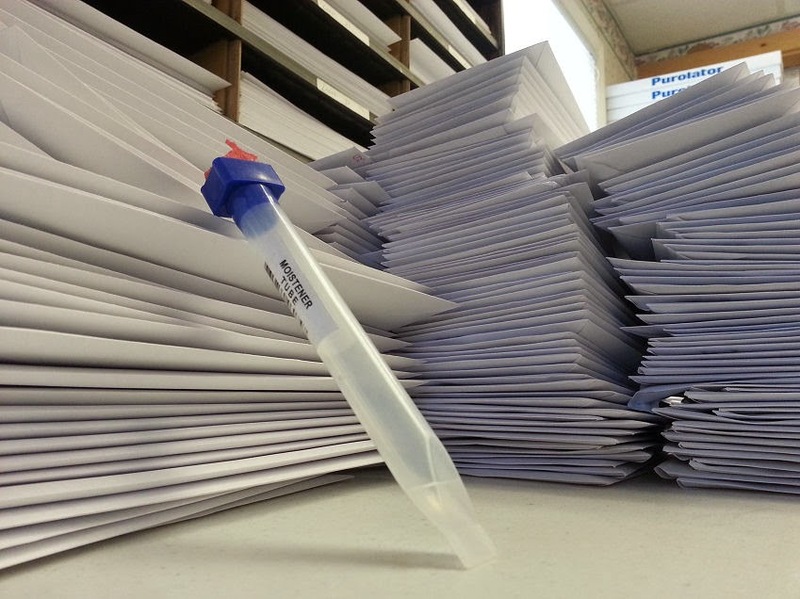 The first job was to stuff the envelopes with the new studies to go out. They were finally finished and above they are waiting to be sealed. Below I've finished sealing them with our special licker which had to be filled with water twice to be able to finish them all. It is such a tedious job if anyone else would have shown up today this is one of the jobs they would have been doing. It takes no thought so the brain can be used for other things at the same time, like thinking, "how long is this going to take? What needs to be done at home? I wonder what the dogs are doing?" It actually is a good time to pray for each prisoner as their envelope with the next four studies are being sealed. 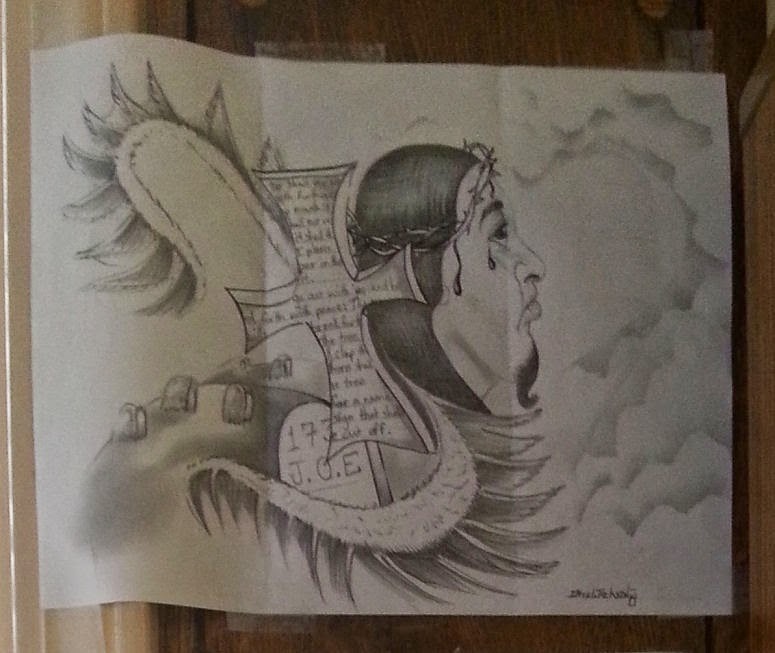 Sometimes we get surprises in with the studies from the prisoners. 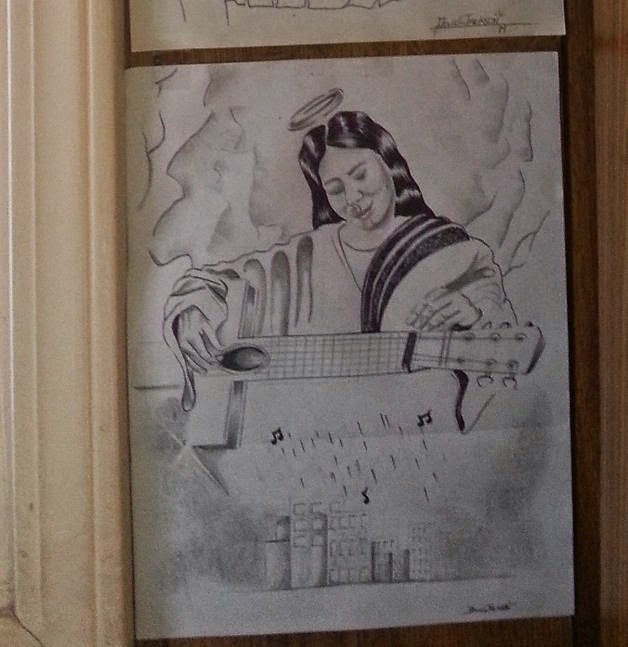 They send us their art work and we post it up on our walls. 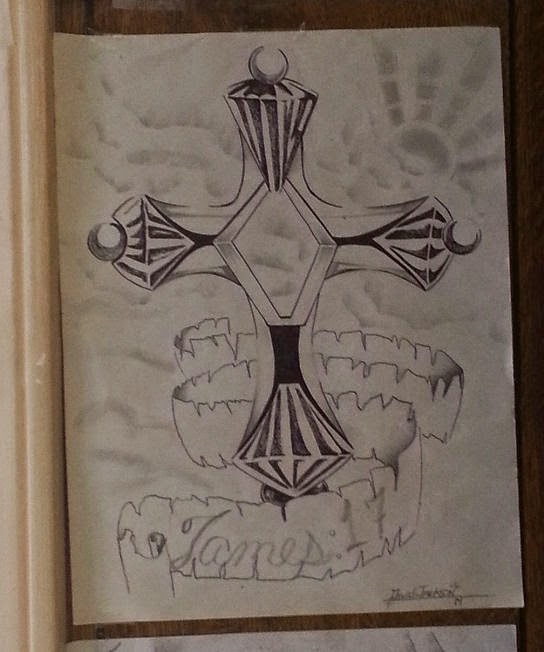 Below are a few of the hand drawn pictures from prisoners that came last week. 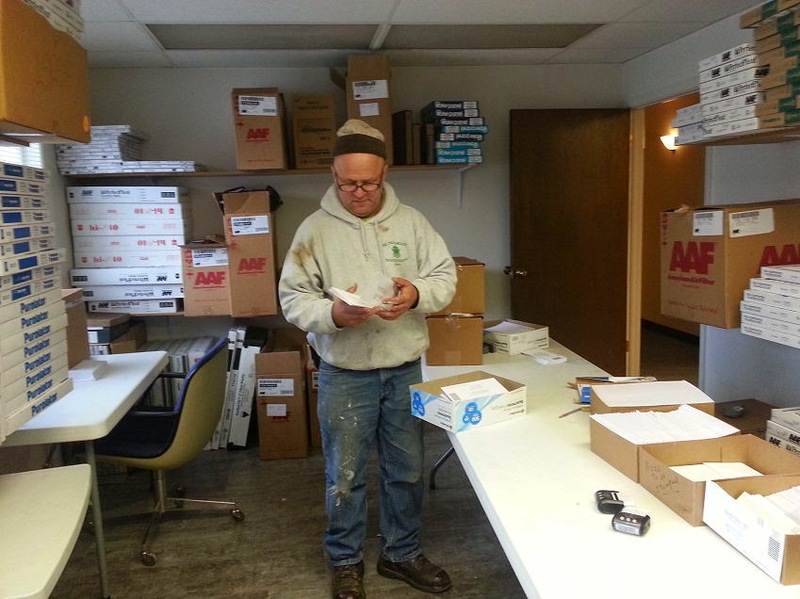 Fede showed up to pick up studies for the Lewistown jail where he and Ruth volunteer each week. Next on my list to do was to start entering the Bible requests and this also took much longer than usual. 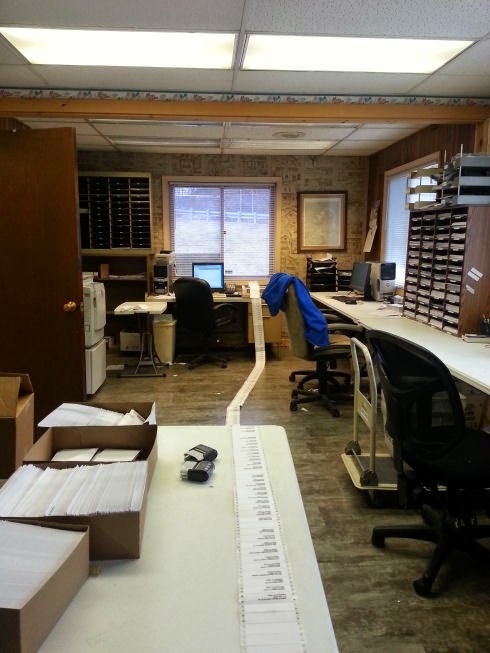 By the time I finally finished and printed them off the line of labels stretched almost the length of the room. It was so impressive I had to get a couple pictures. 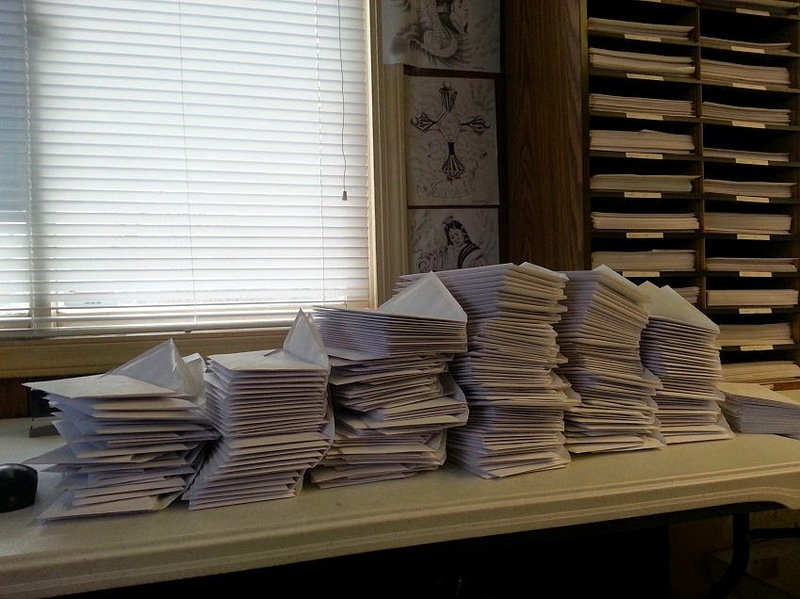 These are all prisoners waiting for their Bible which will go out tomorrow. In the picture above I'm looking toward the computer from the back of the room and in the picture below it is looking toward the back of the room from the computer. 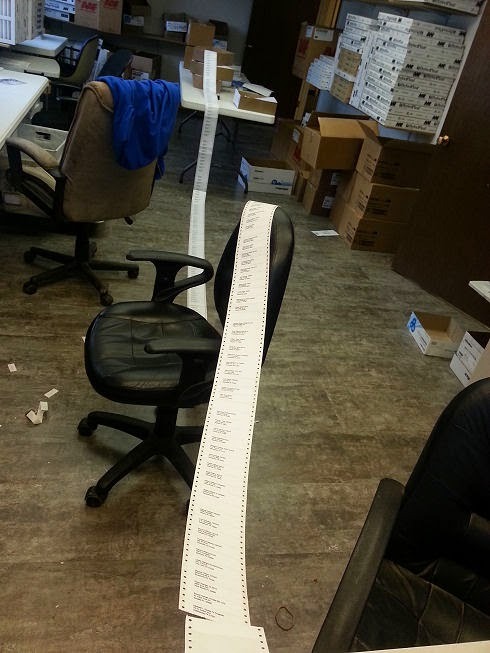 What is amazing is these are just the requests that came in since Thursday. We will be working tomorrow at Meisters. Lisa is going to bring some of her kids down to help with the processing and lifting. But there is just so much more that needs to be done. I was going to post some of the letters today but ran out of time. Check back tomorrow for those.